Oh, I loved the wit and banter between Claudia and Henry. They were a blast to get to know and watch fall in love with each other. Sure, Lady Claudia wanted nothing to do with marriage, as hers before was awful and telling Henry, in the end, was not an easy task for her but watching the wall come down was pure gold. Lady Claudia is also a walking disaster. Nothing goes right for her when she is around Henry. In fact, the comedy of errors becomes somewhat of a thing for them and you can’t help but giggle thinking what else could happen to them. One of the things that I really liked about this story was that even though it is historical, its reads like a contemporary. In other words, Ms. Mariel doesn’t bore us with the details of the time and what is expected of people. I love when a historical author doesn’t have to explain every little nuance to the reader. I’ve put books down because of it. Overall, I highly recommend Claudia and Henry’s story. I’ve some of the others in the series and you do not have to read them in order to understand the other secondary characters or what has happened in previous books. Ms. Mariel lets us know; again, without all the boring details. Awesome job! Enjoyed the cute excerpt a lot. Loved the humor! Looks like an awesome regency romance! 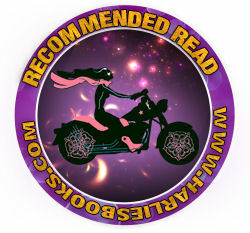 Thank you so much for featuring Scandalous Redemption on your blog!